I love to find tasty alternatives to a regular dish and this pizza was just that. It was full of flavour, protein and was done in a flash. It is a warm summery pizza and the red wine vinegar adds a little bit of sour to off set the rich creamy texture of the cheeses. Yes I admit I may have been a little excite with my application of the many types of cheese but it all worked quite nicely. Each different cheese is used in moderation but the combination is probably still equal to one serving. 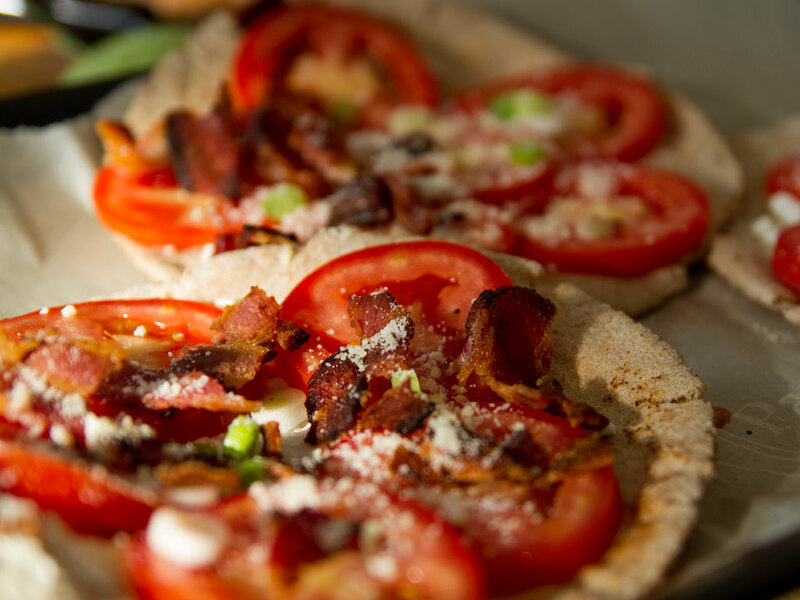 I use Pita Gourmet High Protein Pitas as the crust as it is lower in carbs than regular pizza crust. 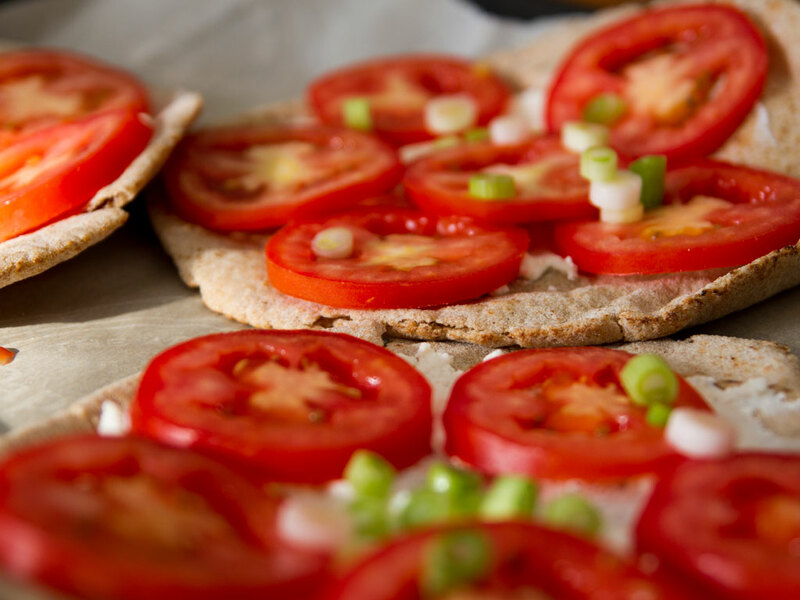 You could opt for a very low cauliflower crust or regular pizza dough crust but keep in mind that the carbs will soar with the regular crust. My pizza was loaded with the fresh veggies but I had a few slices of thick sliced bacon so I fried that up for the family and crumbled it on their pizzas. There are 9.3g net carbs, 7.8g protein and 5 Weight Watchers Points per serving. In a medium bowl, combine spinach, avocado, scallion greens, vinegar, and remaining tablespoon oil; season with salt and pepper, and toss to combine. Season with salt and pepper. Place in the preheated oven. Cook, rotating occasionally, until cooked through and cheese begins to melt, 3 to 5 minutes. 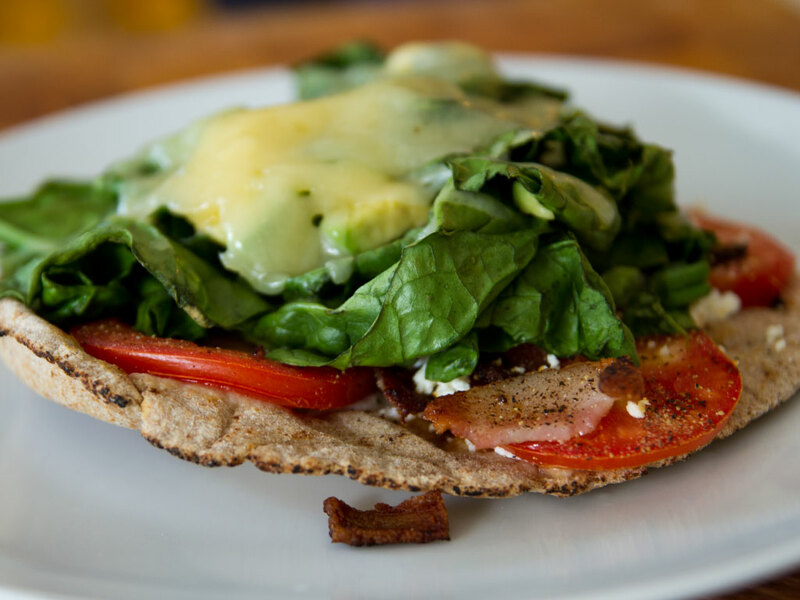 Remove pizzas from the oven and pile spinach mixture and shredded cheddar onto pizzas. Bake for an additional 6-8 minutes till spinach is wilted and cheese is melted. Slice and serve warm.